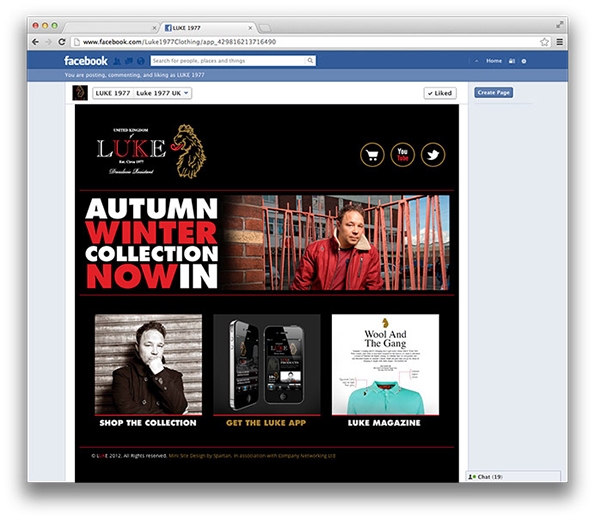 LUKE 1977, a global mens clothing label required a Mini-Site within Facebook. 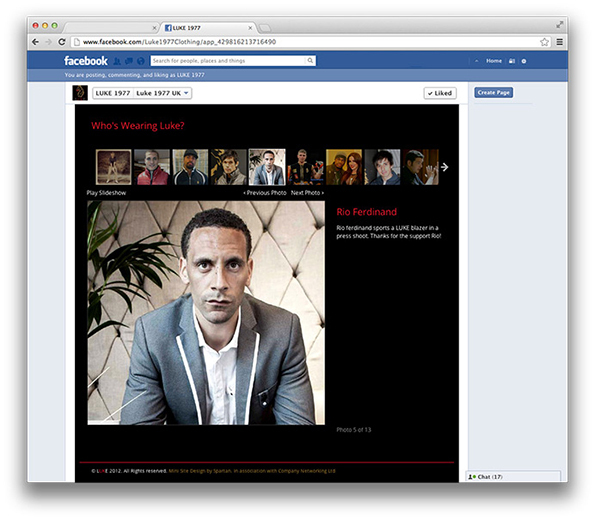 The multi-tab Mini-Site is fully functional within Facebook meaning customers do not have to leave the social media site. From contact details of the stores, to ranges of clothing, customers can access the information they require. 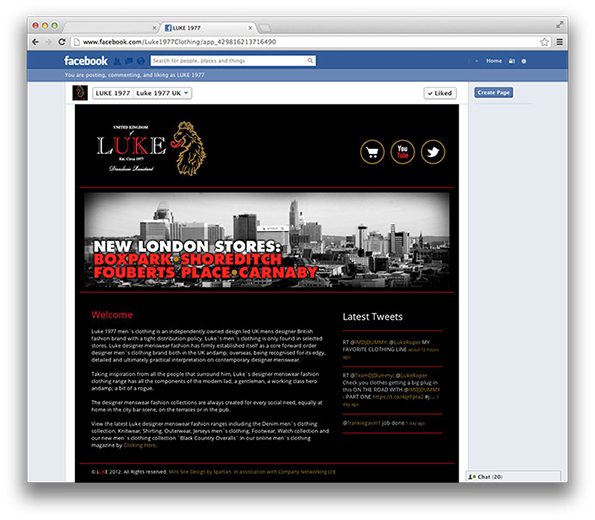 Luke 1977 can update content themselves with their custom CMS system allowing them to post new blog entries and also photos in the gallery section. 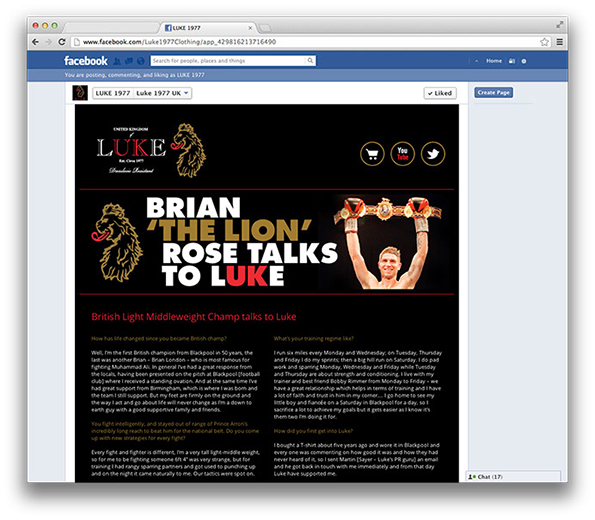 Timeline artwork was also designed to tie in with the new Mini-Site.